Volume 1, No. 4 has our top 5 tips for helping to market your sales horse. 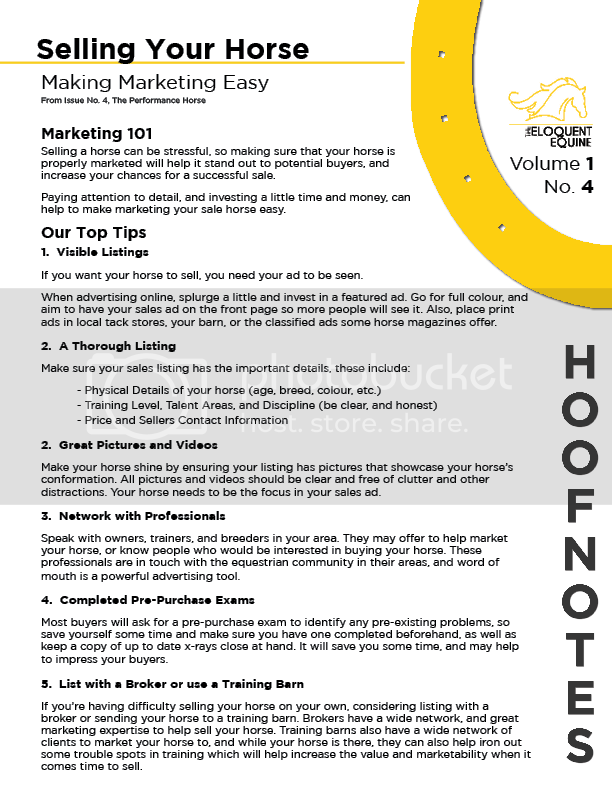 This HoofNote is based on a larger article on marketing your horse for sale, featured in Issue No. 4, The Performance Horse.